The town of Big Rapids is located in central Michigan. 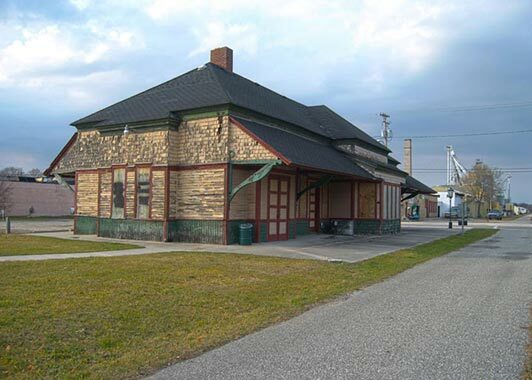 Big Rapids was settled in 1853 on the site of a main rest stop on the Mackinaw Trail. 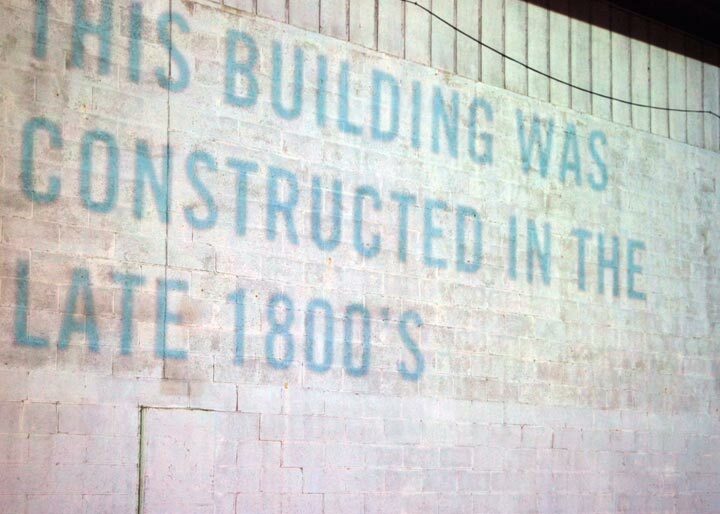 Lumbering was the dominant industry during the boom and decline of the latter 1800s. 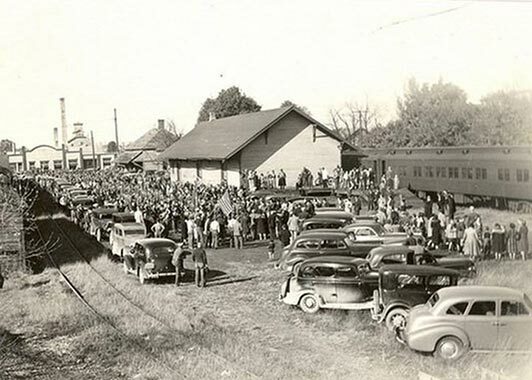 There were once 27 saloons in Big Rapids. Big Rapids is located in Mecosta County, which has a population of 40,300. The city has a total area of 4.4 square miles. The Muskegon River runs through Big Rapids, passing both the University and the local middle school on its way to Lake Michigan. The university attracts over 13,000 students from all over the state each year. This brings many potential patrons to this small town. 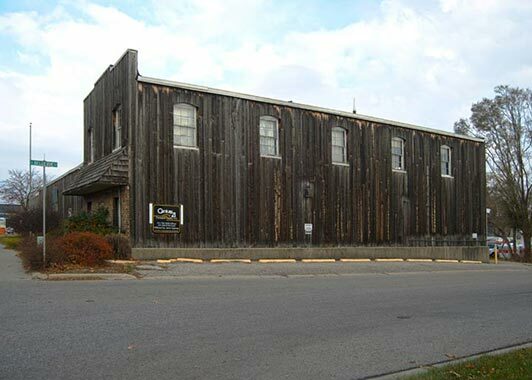 However, Big Rapids, similar to other cities in Michigan and the United States, has several vacant, unused or for sale buildings in the city limits. 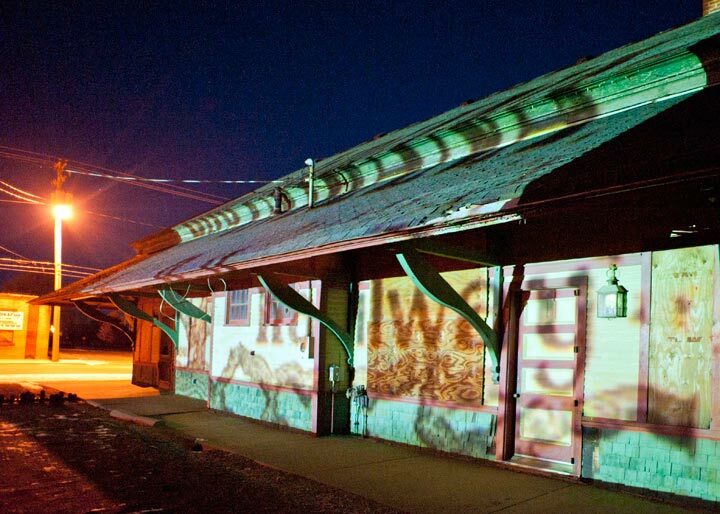 The projected images were designed to bring awareness to some of these forgotten urban spaces in Big Rapids, Michigan. 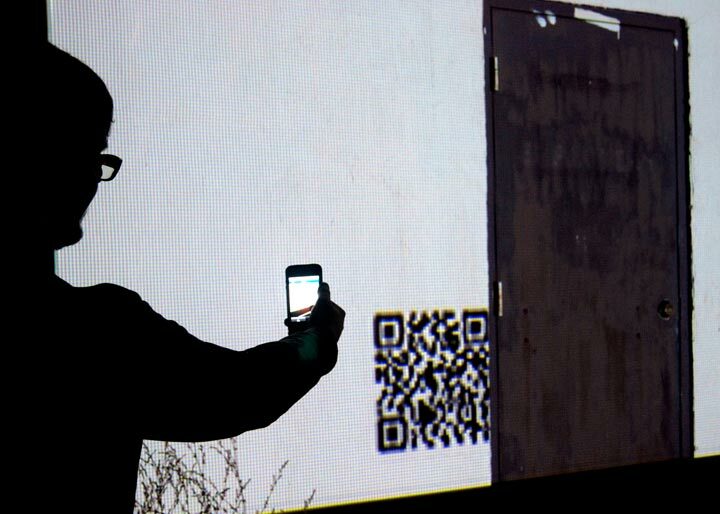 Photography by Kendall Baumann, Bill Bitzinger, Dawn Carpenter, Kate Dupon and Sarah Todd. Historical reference and inspirations, Carlleen Rose, Proprietor of the Old Pioneer Store & Emporium, Big Rapids, Michigan. 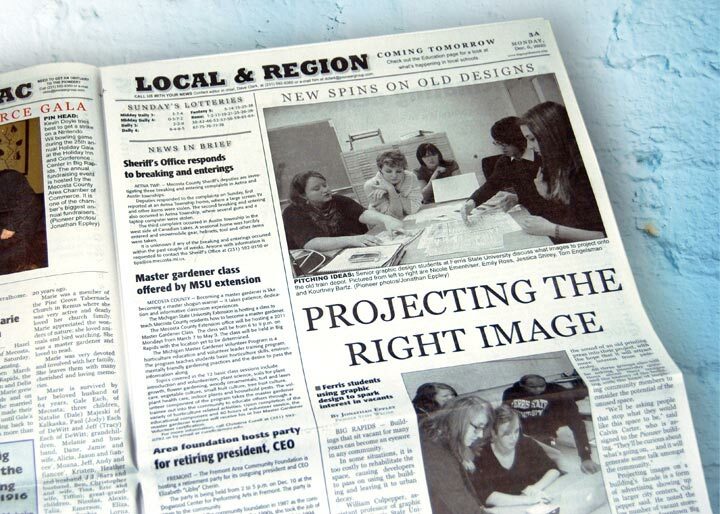 Design and inspiration provided by the class of 2012 and 2011 Ferris State University graphic design students. 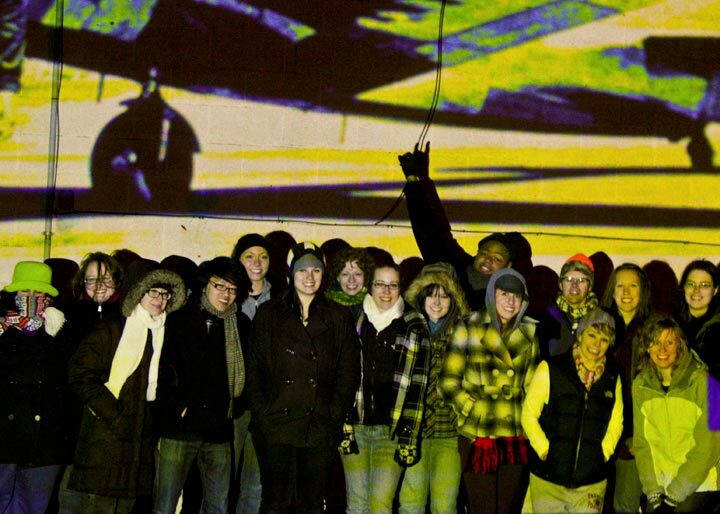 Special thanks to the 2011 Ferris State University graphic design students who braved snow, wind and dark nights all in the name of Grafik Intervention.